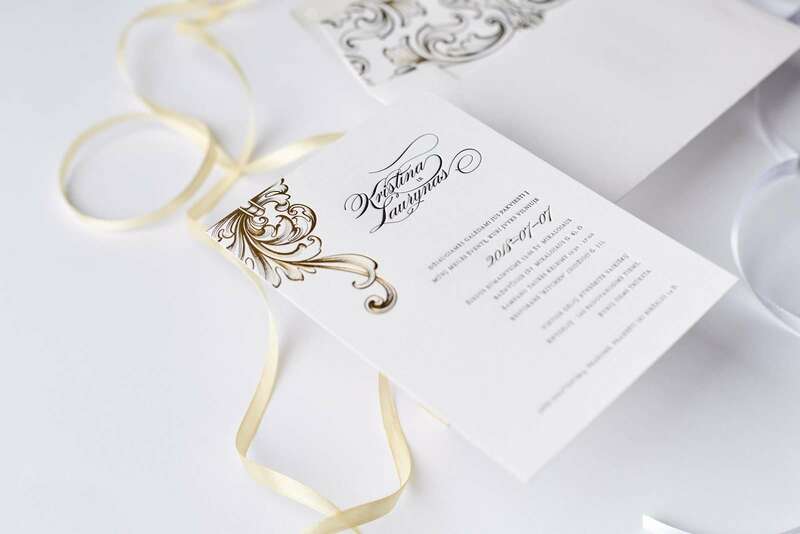 Gold foiled Victorian era style ornaments and black text were chosen for the design of these gorgeous letterpress wedding invitations. 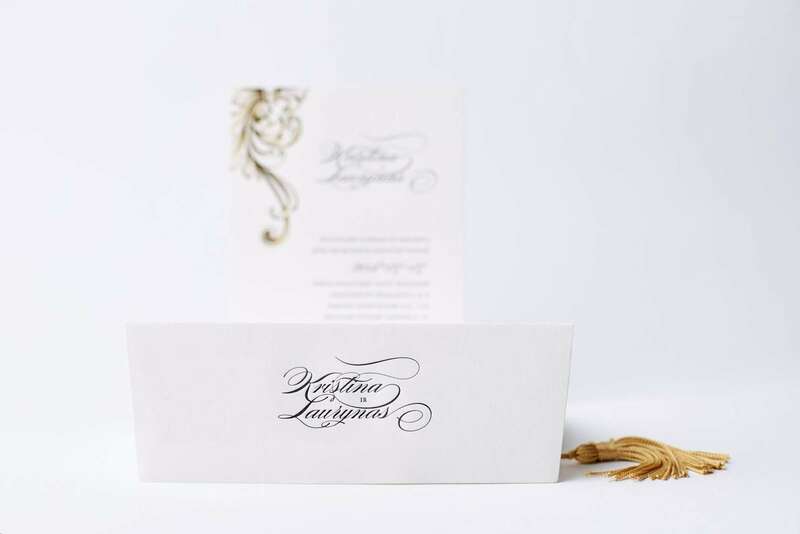 The text typography is picked up to reflect that special style period, the names of newlyweds and wedding day is written in a magnificent calligraphic font to highlight the overall coherence of invitation design. 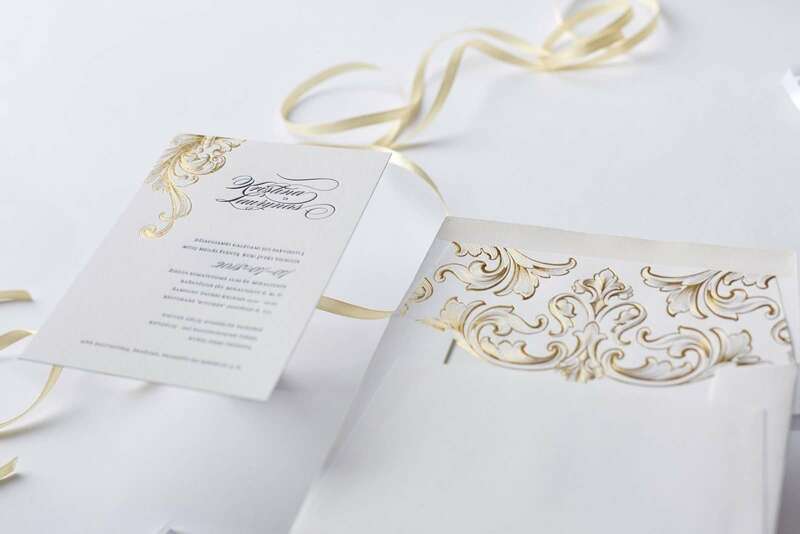 All text and ornaments are letterpress printed with the impression, and the envelope is lined with gold foil printed paper lining. 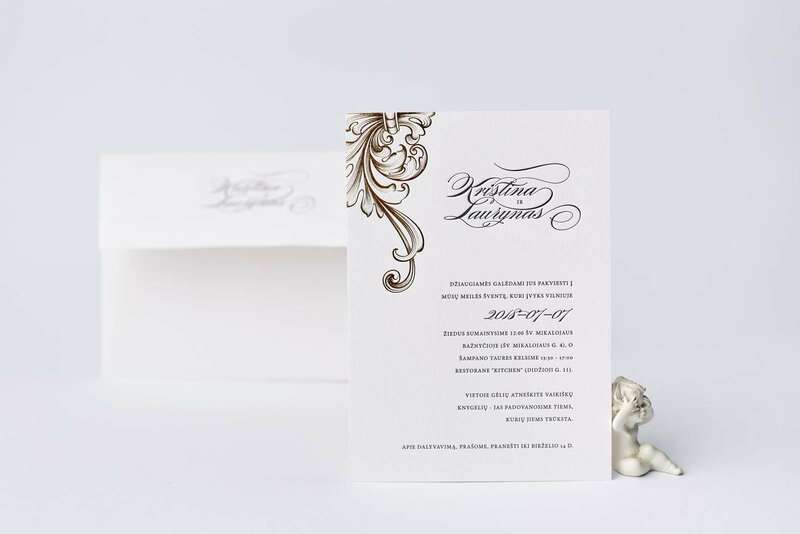 These invitations looks absolutely luxurious and perfect for weddings that will be blessed in a baroque style church or celebrated in the same style manor.